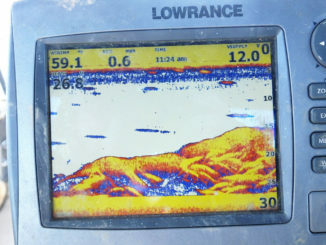 Is it time yet for the big move? 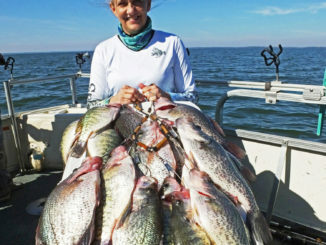 As water temperatures dip in December, with frequent cold fronts blasting through South Carolina, the fishing on the Santee Cooper lakes, Marion and Moultrie, seem to defy logic and actually improves instead of slowing. 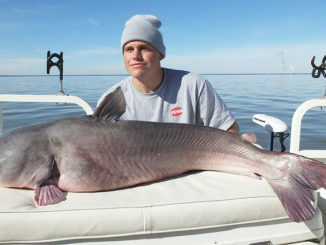 Is High Rock the next catfish crown jewel? 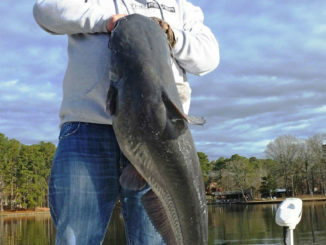 Badin Lake on the Yadkin River chain in North Carolina has long been known as an excellent lake for blue catfish in the winter, but about 20 miles upstream, High Rock Lake seems poised to become the next winter hotspot. 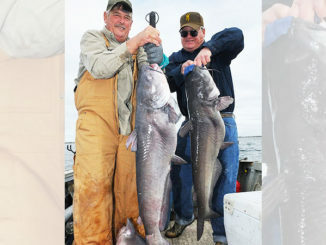 A recurring theme among all the catfish guides is that winter catfishing is all about the forage; you fish close to forage or you don’t catch fish. 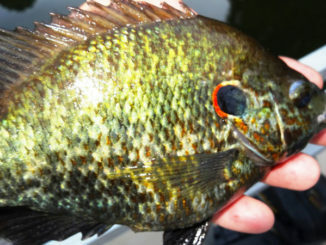 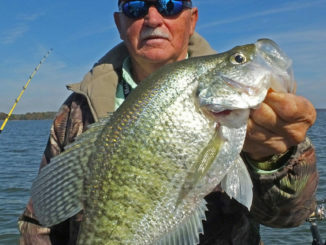 Guide Dave Hilton spends a lot of time catching crappie on Lake Marion, and he’s learned specific tactics to improve success and describes them in his unique style. 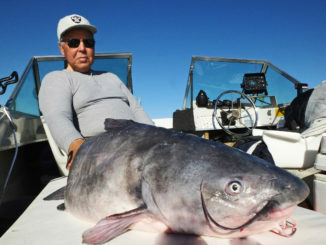 Gone are the days when catfish were delegated to warm weather and water for consistent fishing. 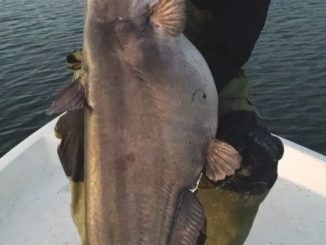 With the introduction of blue catfish into many lakes and rivers in the Carolinas, the cold-weather catfishing game has changed significantly. 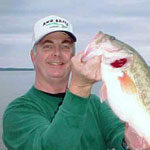 Veteran guide Dave Hilton from Ridgeville, S.C., has long cherished the opportunity to catch multiple species of fish at Santee Cooper. 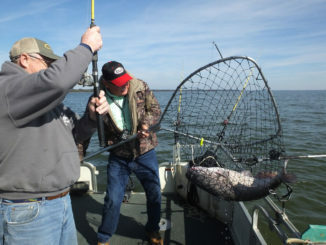 During November, the striper and catfish action is exceptional on Lake Marion and Lake Moultrie, so Hilton set out to learn how to double-dip. 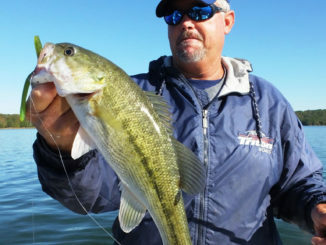 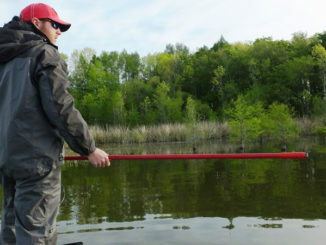 Guide Jerry Kotal said that most of the time, Lake Russell bass will orient to a small, specific target on the bottom, and a school of fish is very concentrated in a small area, but that’s not always the case.